As the Brexit impasse continues to occupy the eyes and ears of the nation, I’ve been pleased to have the opportunity to speak out on issues that should not be allowed to slip under the radar. While the Chancellor’s Spring Statement may have passed by largely unnoticed in the media, here in Dewsbury, Mirfield, Denby Dale and Kirkburton, the consequences of years of austerity are hitting home. I’ve been incredibly concerned to hear from local headteachers about the impact of school funding cuts, with local schools in Mirfield and Skelmanthorpe telling of considering closing school on a Friday afternoon to save money, or relying on parent donations and fundraising to cover the basics. After raising the financial crisis facing our schools in Parliament, I’ll keep pressing schools minister Nick Gibb MP to come through on his commitment to meet with local headteachers to hear their concerns directly. Our schools and local children deserve better. I’ve also continued to raise concerns with the bus company Arriva about cuts they’ve made to our bus services that are having a serious effect on our communities and local people. Bus services are crucially important to our towns and villages and they’re a lifeline for many, particularly older people. But sadly, a poor regulatory framework and insufficient funding means they’re often left at the mercy of private business interests. I’ll keep calling on the government to recognise the importance of these services. Our buses need to be backed with better funding, and more powers for local authorities to franchise their own services, so that public funding goes towards better bus services, not in the pockets of private shareholders. Ahead of World Autism Awareness Week from April 1, as Shadow Minister for Mental Health I’ve also been speaking out about services for people with autism and raised concerns about where these are falling short of the provision and support that is needed. Delays in diagnosis are just the start of the issues experienced by too many autistic people, and services are falling short of the provision and support that is needed in education, employment, health services and social care. Autism itself is not a mental health condition, but around four in five autistic people develop mental health problems such as anxiety and depression, and four in 10 children with autism have at least two mental health challenges. Without access to necessary services, too often autistic people end up in mental health hospitals when they should be supported in the community. There is much to be done to provide the services that people with autism need – I hope that the Government have heard the message and will now act on it. As always, if there’s anything I can do to help you or your family on these issues or any others, please don’t hesitate to get in touch. 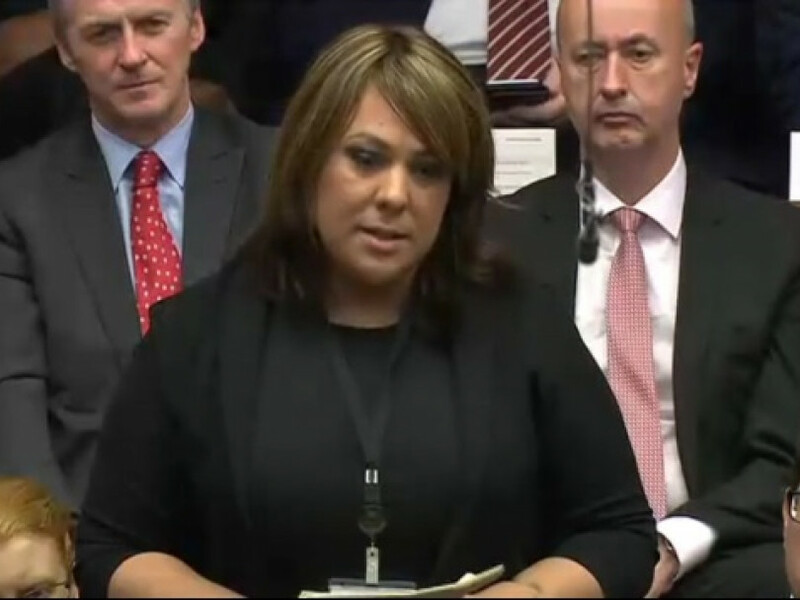 Email me at paula@paulasherriff.org.uk, call 01924 565450 or write to me at The Old Dewsbury Reporter Building, 17 Wellington Road, Dewsbury, WF13 1HQ.